DRM-X.com - Secure Architecture | DRM Digital Rights Management Protect Content PDF, SWF Flash Video(FLV),Real(RM,RMVB),AVI,MP4,Windows Media(WMV,WMA,ASF). 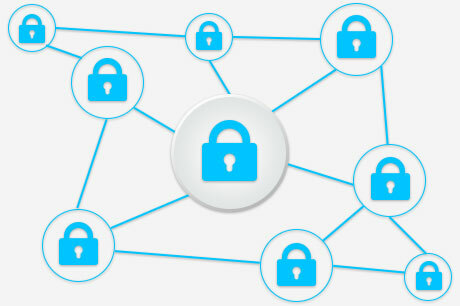 DRM-X 3.0 with own new secure DRM algorithm and architecture, it improves performance that the privacy and security of encryption, send licenses on different servers that faster license delivery. DRM-X includes proven encryption schemes that ensure distributed digital content files are not exposed to piracy or other illegal use. DRM-X protects digital media files and documents with a license key to maintain content protection, even if these files are widely distributed. Each license is uniquely assigned to each computer or device. This prevents illegal distribution of digital media files and documents. Licenses are issued independently of the actual documents and media files, providing maximum flexibility and allowing wide distribution of content. 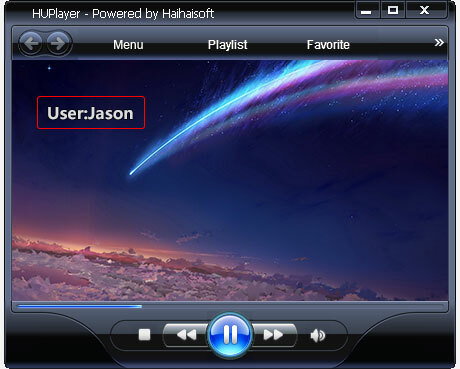 Each time a file is opened, HUPlayer or Haihaisoft PDF Reader checks to see if the consumer's computer or device has a license. Consumers who do not have a valid license are directed to a license registration page. With its own secure DRM algorithm and architecture, it solved the FairUse4WM crack problem completely. DRM-X provides dynamic watermarking capabilities on protected digital content. A watermark is the text includes username and text messages that are superimposed over the media files and PDF documents. In a rights managed content, the watermark can be applied dynamically as the media file is played in HUPlayer or the document is opened in Haihaisoft PDF Reader. The watermark is not editable by users and is not permanently stored in the media file. The location of the watermark is customizable by administrators in DRM-X control panel Rights management and can contain pre-defined text such as an information classification as well as the user's name and message. With dynamic watermarking technology, user's piracy behavior is recorded. Content owners could easily discover who distribute piracy, and prevent further piracy. DRM-X 3.0 enhanced Blacklist features. Now it supports block nearly 100 commonly used screen capture and recording software worldwide. It still keeps updating and against screen recording. The benefit of Whitelist Protection for Mac is that content providers can ensure only Apple's system commonly used software can be running. All the other unknowing software will be exited automatically when protected digital content open. It ensures all the screen capture software can not start, and protects your digital content from screen capture. 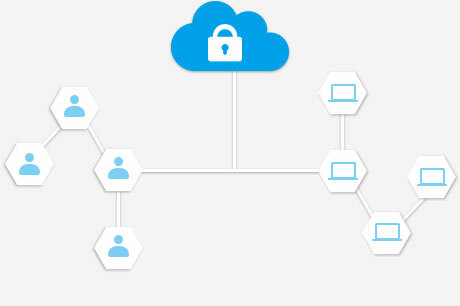 End User Authentication combined with Hardware ID feature restricts the end users can only acquire license in customers own computer or device, and prevent password share. For example, you set Bind Count to 2 in DRM-X 3.0 account. This means customer can only watch protected content in his own 2 computers or devices. 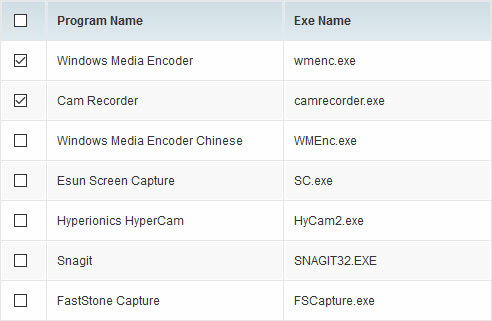 To ensure user can not record screen in Virtual Machine, DRM-X supports disable VMWare & Microsoft Virtual PC in Windows. Once you disabled Virtual Machine, user can not open protected file in VMWare or Microsoft Virual PC. If you choose this option, the Haihaisoft client software will revoke the license when users open the protected content. User can no longer open the protected file encrypted with this license profile. You can also revoke license for individual end user in DRM-X 3.0 Users management. It enables content providers fully manage the rights of end user's license. Thus it resolved the problem when the end user purchase protected content needs refund. It effectively revoke licenses of the refund user, so that the end-user cannot open protected content any more.